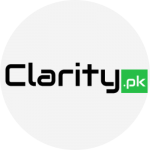 Press Release (Aug 6, 2018): To support budding Pakistani startups on a larger scale, Telenor has widened the scope of its flagship ‘Velocity’ accelerator by partnering with incubation centers and other accelerators. Telenor Velocity is Pakistan’s first telco-led accelerator that helps promising startups overcome the barriers holding their business back and work closely to identify steps they need to take to achieve rapid and sustainable growth. Through the Velocity Partnership Program, country’s top incubators, accelerators, investors and co-working places can partner with Velocity and gain access to a comprehensive suite of services and tools that can prove pivotal to the growth and sustainability of their startups. NIC Peshawar, NIC Karachi, Plan X, Plan9, NSPIRE, 10xC, GIKI and Daftarkhwan and have already joined the Velocity Partnership Program with their startups gaining access to the Velocity Suite. Partner incubators and accelerators’ best startups with a ready Minimum Viable Product (MVP) and traction have the chance to benefit from Telenor Velocity’s accelerator program. Application approval is on a rolling basis with startups gaining access to the Velocity Suite virtually from the convenience of their co-working spaces (partner premises). The program charges no fee or equity from the partners or their startups. Startups outside of partner network can apply to the acceleration program here. said Atif Mumtaz, Director Entrepreneurship PITB. To speed up progress in the Pakistani startup scene, collaboration and sharing information, skills, and resources is key. I’m glad that Telenor is keeping a very open approach to sharing its assets with startups and nurturing young talent of Pakistan. We are pleased to be partners with Telenor and hope that the bold step will contribute significantly to the promotion of startup culture in Pakistan.